Artist Chris Jordan brings a deep energy to a huge environmental problem - the accumulation of plastic debris in the world's oceans. He's photographing its effect on the Laysan Albatrosses of Midway Island. 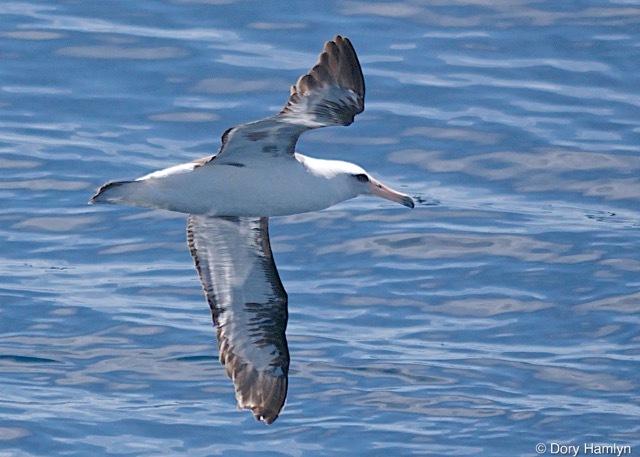 Adult albatrosses mistake pieces of plastic for squid and fish and feed them to their chicks - unwittingly, killing them. But Chris has faith in a culture's ability to correct its course. "We act, when we feel something deeply..." See Chris Jordan's moving photos of the albatrosses of Midway at PhotographyForAGreenerPlanet.org. Artist Chris Jordan brings a deep energy to a huge environmental problem - the accumulation of plastic debris in the world’s oceans. 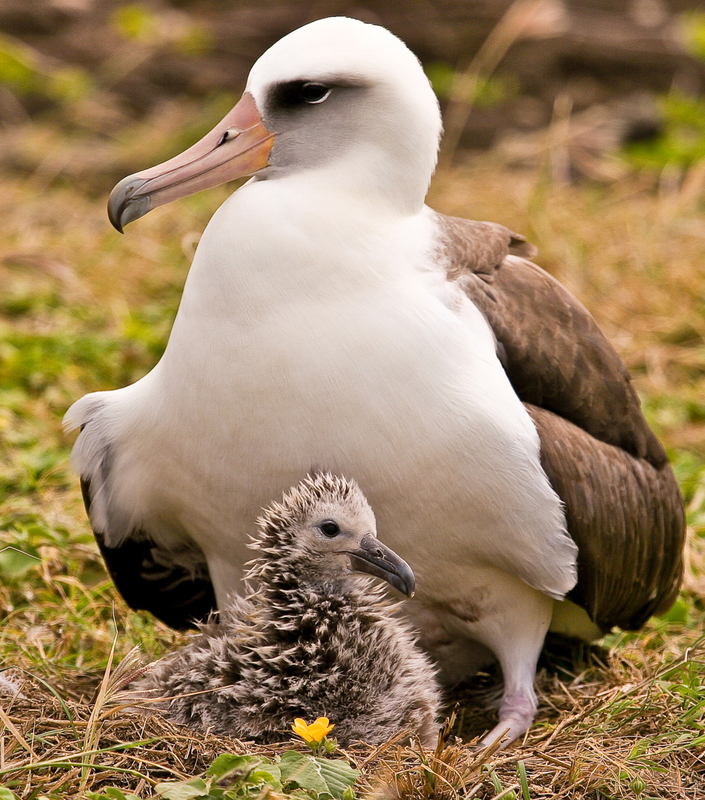 He’s photographing its effect on the Laysan Albatrosses of the North Pacific’s Midway Island. CJ II 2:30 … the interior of the island is completely covered with… magic markers and cigarette lighters and toothbrushes and flip flop sandal chunks and random chunks of plastic…we found a plastic Buddha,… And all of that plastic came into the island inside the stomachs of albatross and were fed to their babies who died, and was released that way CJ II 4:20 …to be in one of the remotest islands on the planet and to see that much pollution… it’s like the earth’s alarm system going off. CJ III :32 …but until I stood on Midway surrounded by …hundreds of thousands of baby albatrosses that were in advanced stages of dehydration and starvation with their bodies filled up with plastic, I never felt my love for the planet earth so deeply...I went through the feelings of horror and shame and fear and grief to get to that love. Chris has faith in a culture’s ability to correct its course. CJI 5:15 “….art helps us connect with what we feel about things… and that’s when we act… when we feel something deeply…. 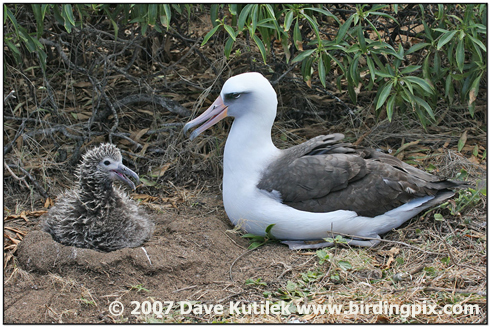 Find a link to Chris Jordan’s photos of the albatrosses of Midway on our website, birdnote.org. 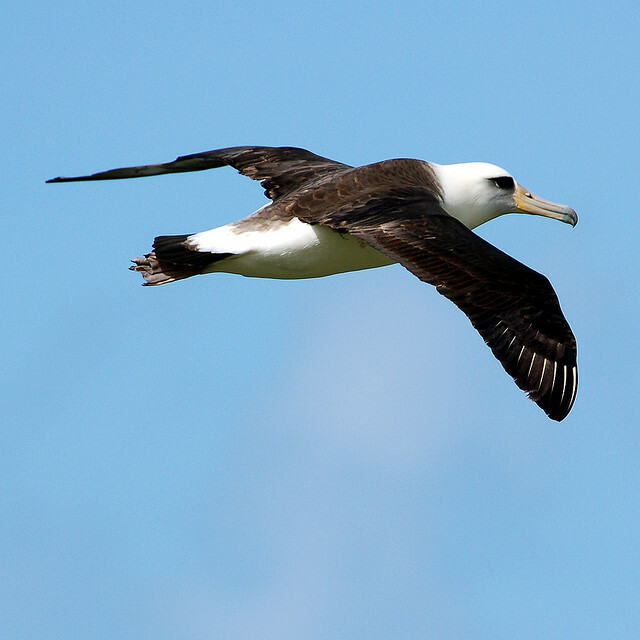 Sounds of Laysan Albatross 137974 – provided by The Macaulay Library of Natural Sounds at the Cornell Lab of Ornithology, Ithaca, New York. Recorded by NPR/NGS Radio Expeditions. Musical selection from “Unconditional” by Christen Lien’s album Battle Cry. Used with permission.